Two monks, who self-immolated on the anniversary of a Chinese crackdown on Tibetan protesters on 16 March 2014 have died from sustained burns. Following the arrest of 14 other monks present at the protest, authorities cut off all communication between the locality and the outside world, including the internet, and a political re-education program was imposed on Sonag. Two Tibetan monks who self-immolated last week have died from their burns. The monks self-immolated on the anniversary of a Chinese crackdown on Tibetan protesters, and are the fourth and fifth Tibetans to self-immolate on March 16  over the past 4 years. Logsang Palden, a 20-year-old monk from Ngaba, Tibet (Aba, Sichuan province, China) died last Friday [21 March 2014] in a military hospital. Palden had self-immolated March 16 , according to reports from a monk in India. He had been taken to the hospital from the scene where he was apprehended for the crime of self-immolation. During the five days, the whereabouts and condition of the monk were not made known to local of Ngaba, where Palden’s family lives. When the family went to Barkham military hospital to collect the remains, they were given his ashes, but the family was not certain the ashes were those of Palden. Palden had self-immolated on the main road of Ngaba country, called “Heroes’ Street” by locals because it is the site where self-immolators often set themselves on fire. The date–March 16–was the anniversary of the 2008 crackdowns in Ngaba, in which Chinese authorities opened fire on protesters, killing at least 10. Palden shouted slogans of protest against Chinese rule, and took several steps before he was extinguished by Chinese security forces. The security forces then wrapped Palden in a sheet, put him into a pickup truck and took him away, as a crowd of Tibetans booed the security forces. Palden is the fifth monk from Kirti monastery to have self-immolated in protest. Jigme Tenzin, a 29-year-old monk, also self-immolated March 16. Tenzin self-immolated in Tsekhog, Qinghai province. The monk self-immolated on the path that circles Sonag (also called Shador) monastery. Tenzin was taken from the scene of his self-immolation into the monastery by fellow monks. He was beyond saving, and died soon thereafter. The body of Tenzin was quickly cremated before Chinese police could arrive. Authorities later arrived at Sonag and cut off all communication between the locality and the outside world, including Internet. 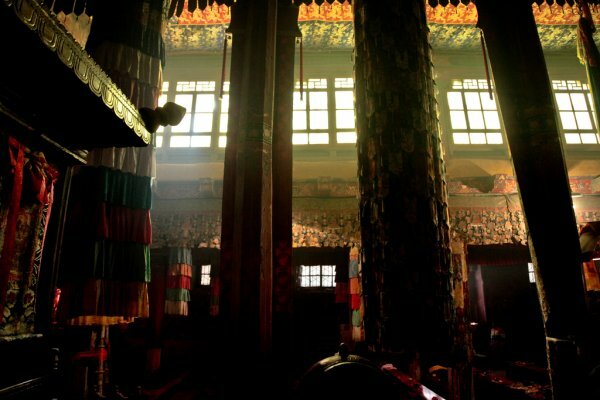 Tibetans were cut off from the monastery. Communication between the monastery and the local laypeople was also cut off, and a political re-education program was imposed on Sonag. Fourteen monks from Sonag were detained by police, according to London-based Free Tibet, the foremost organization keeping track of the struggle of Tibetans. The monks were beaten after they were taken into custody, reportedly, and 11 of the 14 remain in custody. The father of Tenzin was also detained. The father had appealed to Chinese authorities to refrain from punishing Sonag monastery. Since 2009, 126 Tibetans in Tibet have self-immolated. Another six have self-immolated in India and Nepal to protest against the Chinese in Tibet. The first instance of Tibetan self-immolation took place in Ngaba, when Kirti monk Tabe self-immolated in February, 2009. Tabe was taken into police custody where he is believed still to be. His parents are able to visit him occasionally at the invitation of the authorities, reportedly. He is currently being used by Chinese authorities for propaganda purposes, such as appearing on local TV to regret his actions. After Tabe, another Kirti monk, Phuntsog self-immolated March 16, 2011, calling for the return of the Dalai Lama. Two other Kirti monks, Lobsang Tsultrim and Lobsang Thokmey, self-immolated March 16 2012 and 2013, respectively.